Lemongrass Essential Oil - Refreshing and Rejuvenating. Lemongrass essential oil.......one of my favourites (though I think I'm guilty of saying this with quite a few oils!) It's not just that it has the most amazingly refreshing, zingy aroma but also that it makes you feel good as well as being a fantastic overall tonic for your body. I use it as a fragrance for one of natural hand made soaps that I create and it has proved to be very popular. I also use it blended with a carrier oil for massage - great for relieving muscle pains and for toning muscle and tissue. So go on......why not pick yourself up with a blast of lemongrass essential oil. Steam distillation of the finely chopped fresh or partly dried grass. A strong, fresh, lemony smell with sweet grassy undertones. Most essential oils, but especially with basil, cedarwood, geranium, lavender, lime, mandarin, palmarosa and tea tree. Analgesic, anti-depressant, anti-fungal, antimicrobial, antiseptic, astringent, bactericidal, carminative, deodorant, digestive tonic, diuretic, febrifuge, fungicidal, insecticidal, prophylactic, nervine, nervous system sedative and tonic. Great for combatting all types of tiredness - mind, body and spirit. Helps with soothing headaches - mix with a carrier oil before gently massaging the forehead and temples. As a digestive tonic and prophylacticit it helps stimulate the appetite, is detoxifying and balances the system. Fantastic insect repellant, either used alone or in a blend with other insect repellant oils. It is valuable for respiratory infections such as sore throats and laryngitis. Good for toning both muscles and skin tissue. Relieves muscle aches and pains - I often use this oil when massaging sports people. 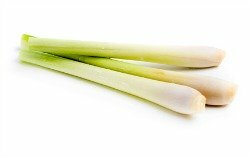 Lemongrass is a great smelling overall tonic for the body and can aid recovery from illnesses. As a deodorant it is good for sweaty skin and excessive perspiration. Anti-fungal, so often used on athlete's foot. Lemongrass has wonderful skin healing benefits. It is a valuable cleanser for all skin types. It is a natural astringent - perfect for even and glowing skin. Also can be used as a natural toner. Can be irritating to people with sensitive skin. Should be avoided in pregnancy, because of the possible skin irritating effects. Lemongrass essential oil should not be taken internally without the supervision of a health professional. Make your own exfoliating body scrubs using salt or sugar, sweet almond oil and lemongrass oil. Use as an air freshener - mix a few drops of lemongrass and geranium with some water and place in a spray bottle. Make sure you shake the bottle before each use. Use it in a diffuser or burner to energise and invigorate your spirit. If you use natural household products, add a few drops to help reduce bacteria in your home. Add a few drops to a natural body lotion to help with cellulite. There are over 50 different types of lemongrass, but only a few are suitable to be used for essential oils. Lemongrass is known as 'Sweet Rush' in the Caribbean, where they use it medicinally for common colds and fevers.